If you visit the Museum more than twice a year, or if you bring friends and family when you come, you’ll save money when you join and purchase a Museum Membership. All members enjoy free admission year round, invitations to exclusive events, discounts in the Museum store and café, guest passes and more. Please inquire with Heather Vihstadt, Director of Development at (541) 382-4754 ext 248 or contact us. Is my membership tax-deductible? 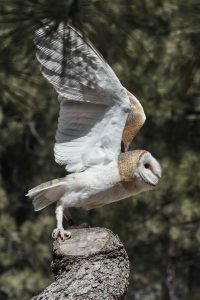 The amount of your High Desert Museum membership dues, minus the fair market value of your benefits, in accordance with IRS regulations, may be considered tax-deductible. You can customize your benefit choices to increase the tax-deductibility of your contribution, if you wish. Over and above their dues, many High Desert Museum members make additional gifts which are 100% tax-deductible. Please note, memberships are non-transferable. The following Refund Policy is in effect for all purchases made from High Desert Museum. For memberships, event tickets and donations, there are no refunds. For facility rental, please see refund policy as stated in our Facility Rental Contract.